The extruder is designed for forming ceramic products according to GOST 530-2012 from single-to-large brick to large-format bricks. 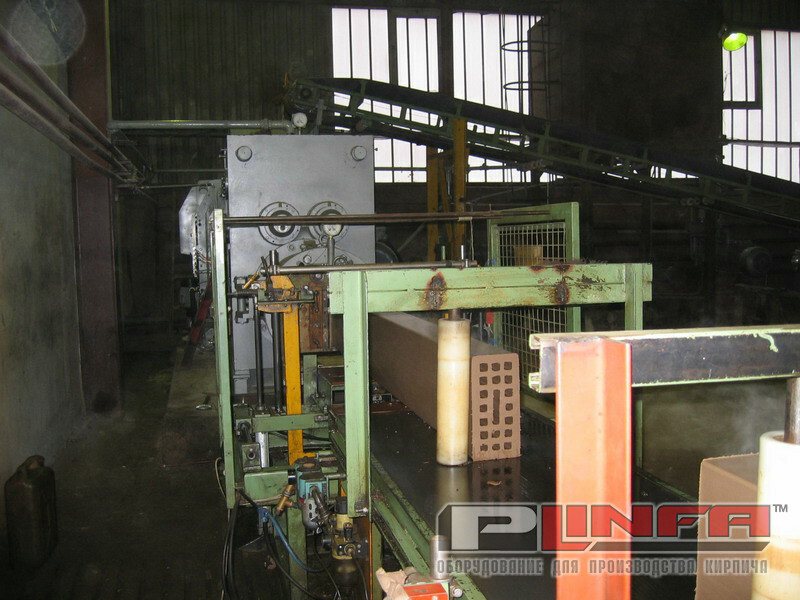 The press is specially designed to replace obsolete presses (such as SMC 325 or SMK 502, as well as imported monoblock type presses) in brick factories. The design of the press is such that the replacement is carried out for several days (including the dismantling of the old press). The press is made on a single frame in the “monoblock” version, including the frame for the electric motor, which is rigidly attached to the frame of the press. 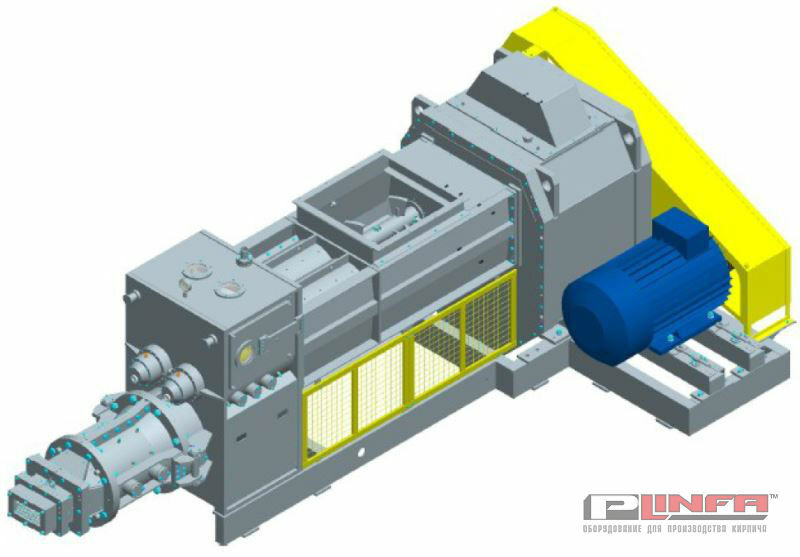 Thanks to this rigid structure, the USM 50 press is installed easily and quickly and does not require any complicated foundations. – The press is delivered assembled (all units and parts are located on a common frame), which greatly simplifies installation. – A common mixer and press drive (original gearbox) equipped with a pneumatic clutch has been developed. The design of the reducer allows you to redistribute power to the most loaded shaft (up to 90%). 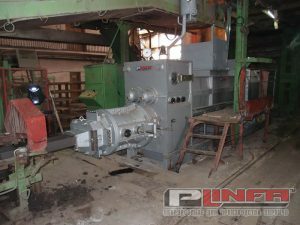 – Lubrication of the gearbox – forced with the installation of a visual inspection of all lubrication points and a two-stage oil purification system. – The pressure in the press head has been increased to 3.0 MPa. 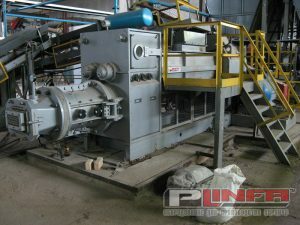 – The shafts of the mixer and the auger are replaced without disassembly of the gearbox, bearings and sealing systems.